It all started one day while walking through the farm that you see in these pictures, right here on Boynton Rd. in Kaysville, Utah. 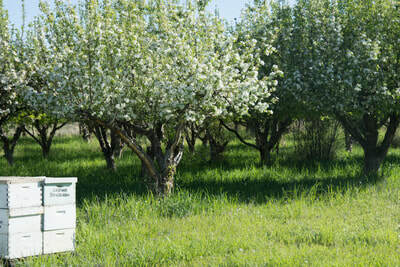 The apples were in full bloom, and the honeybees were everywhere; their humming audible throughout the orchards. 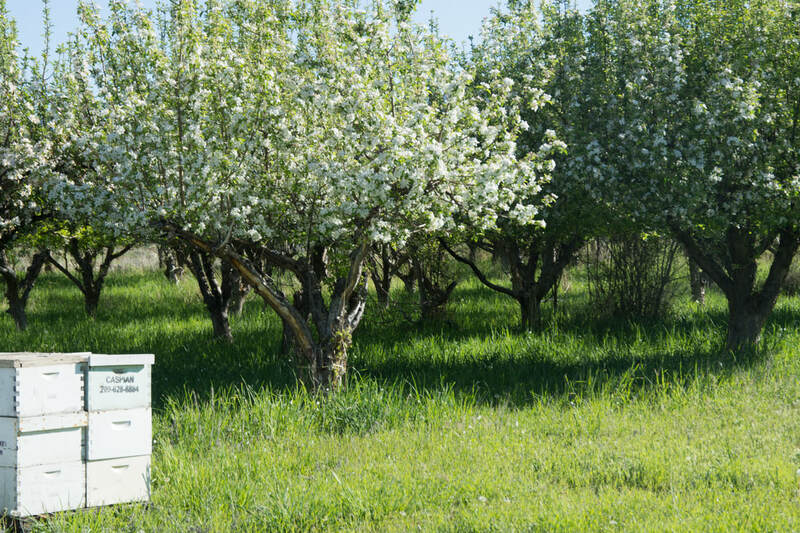 Our family had farmed here in the past, mostly alfalfa, clover and various fruits, and so this was a natural occurrence, but this time the presence of the bees coming and going, got us thinking. "These bees are taking this delicious nectar and depositing in their local hives, never to be seen again. Our community should be able to take part in some of this natural magic!" And so it did! But no matter how hard the bees worked, there was just not enough honey to sustain all the people coming to our door after seeing the "Fresh, Raw Honey" sign next to the walkway. It was selling like we'd never have believed. So, there was only one thing to do. 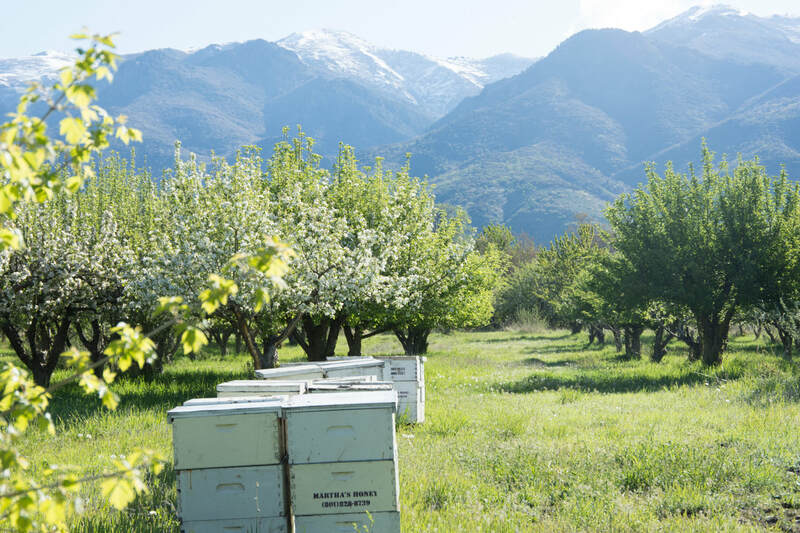 We began to team up with other local bee-keepers, making sure that they followed the best natural harvesting techniques that makes local honey so delicious. We bring the fresh honey here to Elden Foods, package it without heat and without filtration and send it directly to you! 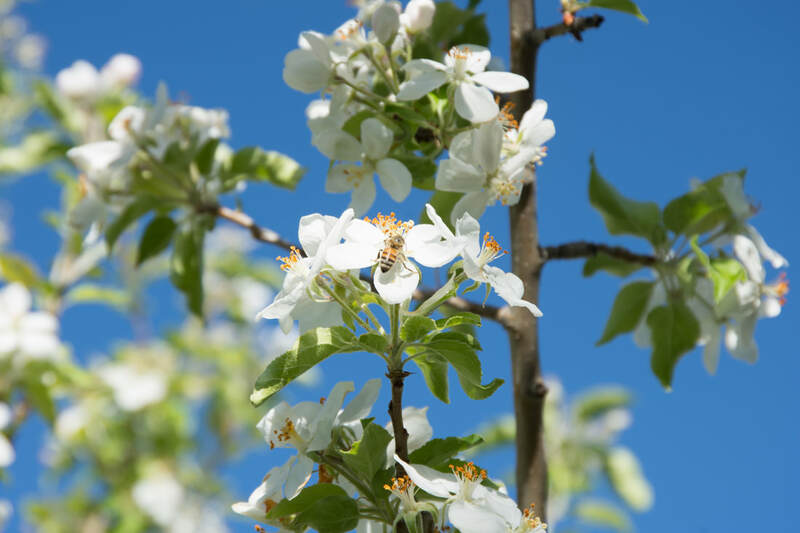 What started as a small plan to let our neighbors taste some amazing honey, now allows us to share this Local Utah Honey throughout the 50 states of the USA!